San Mateo Police and San Mateo Consolidated Fire departments are investigating several garbage bins that were set on fire downtown in the early morning hours. San Mateo, CA – On Thursday, March 21, 2019, at 3:23 a.m., the San Mateo Police and San Mateo Consolidated Fire departments were dispatched to a fire in an alley behind the first block of Second Avenue in downtown San Mateo. As Fire and Police arrived on scene, they determined the fire was set in a group of garbage cans and located additional garbage cans on fire in the area of the initial call. 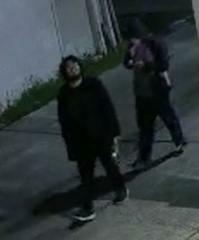 According to surveillance, two individuals were seen leaving the area at the time of the fire and police are now asking for the public’s help in identifying persons of interest. Officials deemed the fires to be suspicious and launched an ongoing arson investigation. Officers are actively investigating leads and have increased patrols downtown. 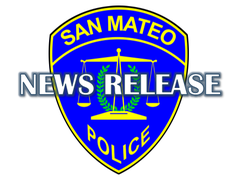 San Mateo Police and San Mateo Consolidated Fire departments are conducting this joint arson investigation to bring the downtown arson suspects to justice. We are working around the clock and appreciate the cooperation of several business owners who are working with police on providing surveillance video to help identify persons of interest. Anyone with information, or who may have access to video footage of the area, is encouraged to contact police immediately. Remember, if “you see something, say something.” We’re encouraging our community, both residents and businesses, to utilize security cameras. They are especially helpful in identifying suspicious activity when cameras are facing the street. Our officers regularly canvass for surveillance and you can help us by notifying SMPD where cameras are located in your neighborhood at www.cityofsanmateo.org/Nest. This is an on-going investigation and anyone with information is asked to contact Detective Lau at (650) 522-7617 or by email at llau@cityofsanmateo.org. Anonymous tips can be submitted to http://tinyurl.com/SMPDTips or by calling (650) 522-7676.